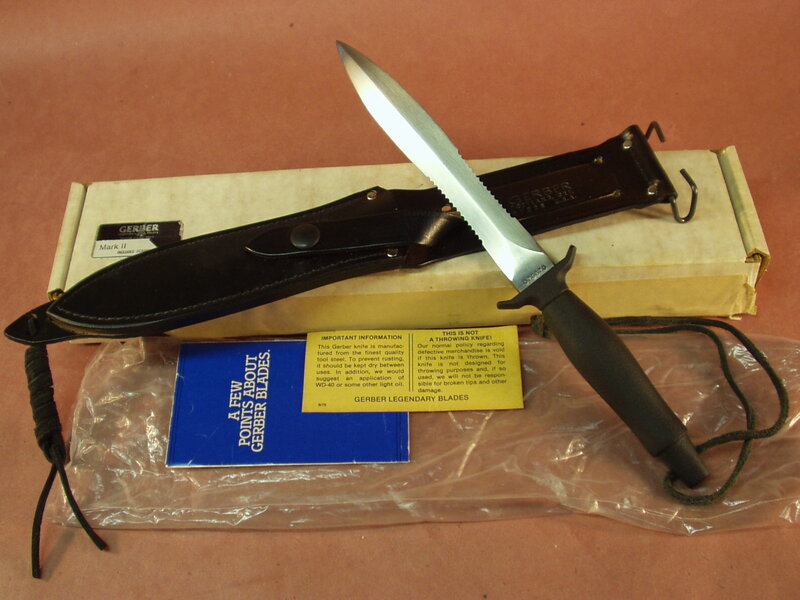 You cannot add "Gerber Mark II Knife" to the cart because the product is out of stock. 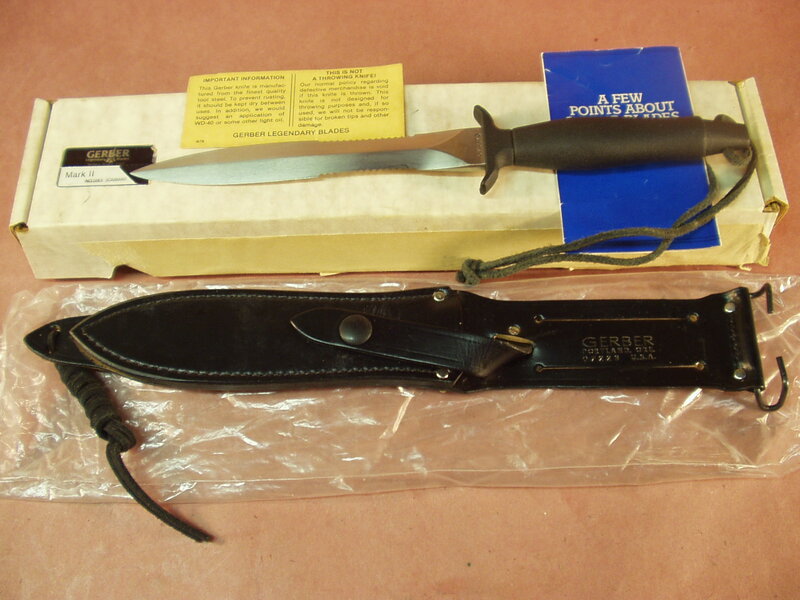 Her is another NIB Gerber Mark II made in 1979. 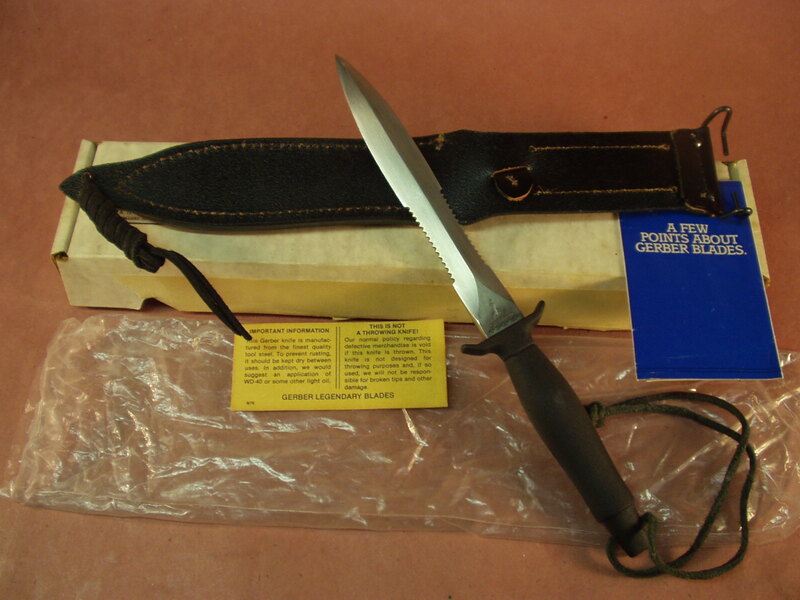 This one is complete, with all the paperwork issued, the plastic bag and the Knife and Sheath that are dead MINT condition. 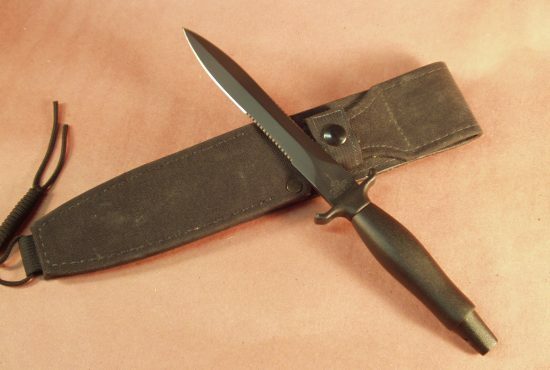 Sheath shows no sighs that the knife as ever inserted into it. WOW Looks like you would have just received it from the factory. 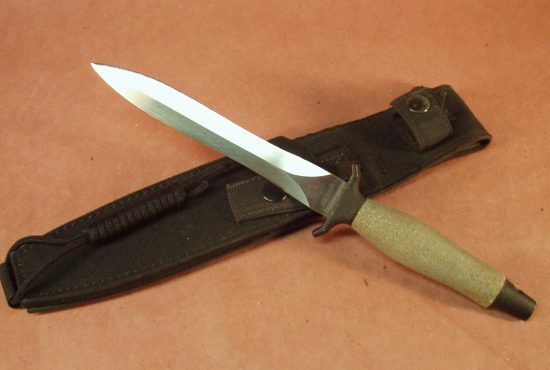 Serial number is 076670. Interesting sequence of numbers 076 the 670. 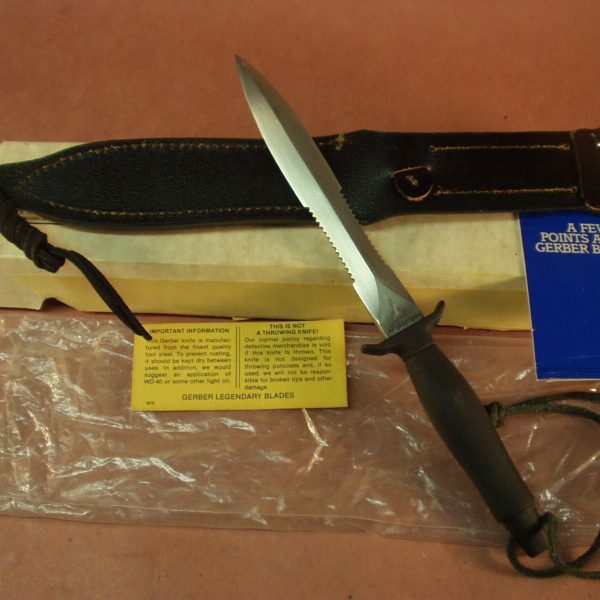 In 1979 is when Gerber started to change the handle color moving from Gray to Black, the sheath also matches are were not longer tan leather but no black as well. 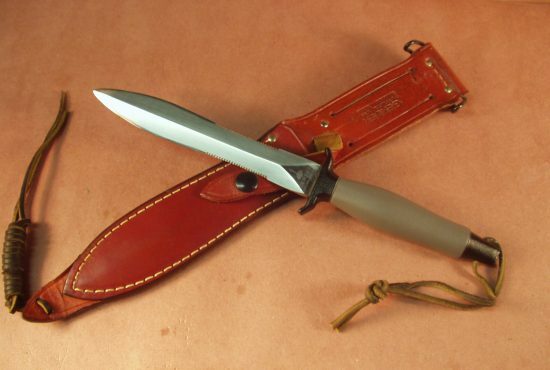 Great knives back then. 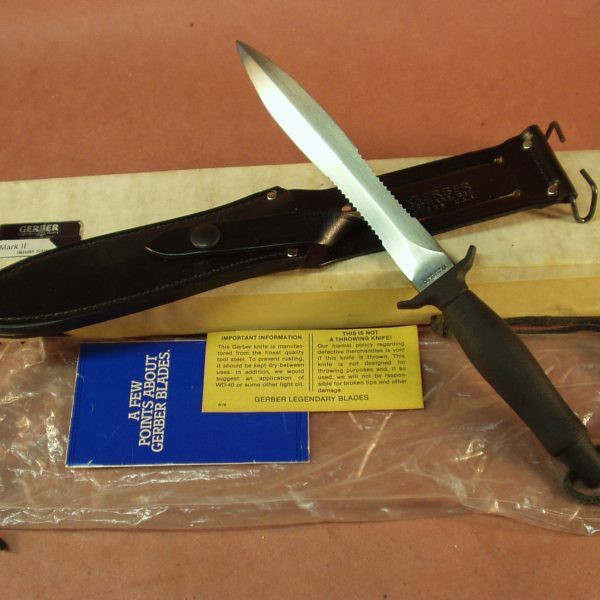 The new Gerber Mark II knives are no where in comparison to the ones made when Pete Gerber and Family owned the business. 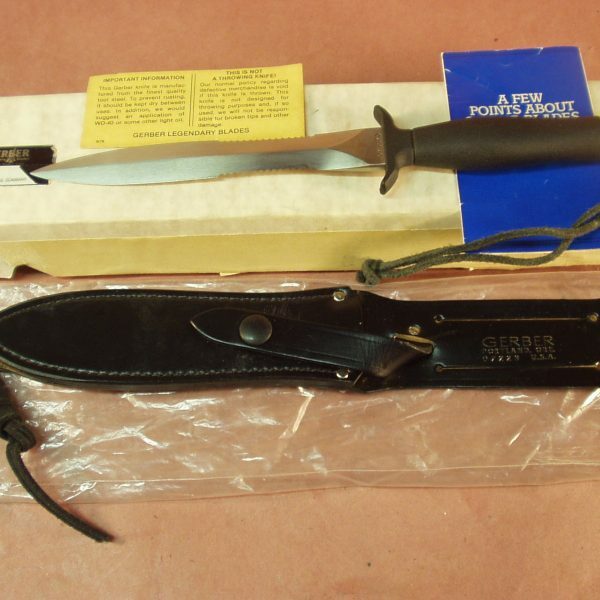 If you are looking for one that just came from the factory in 1979 or a few month later that here you go – 40 years ago can happen today due to a few people that made a good decision to keep these knife in new, unused condition. 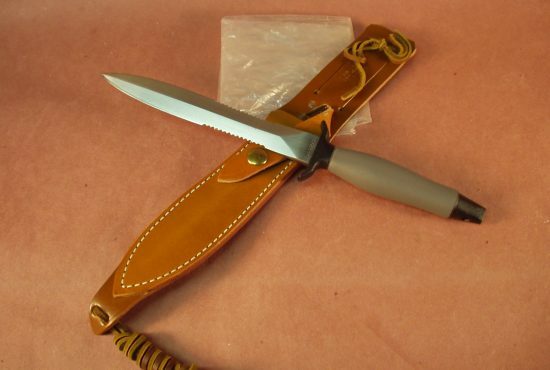 .In summary the entire knife and everything are in MINT condition, great investment as long as you can continue the MINT future!! © 2018 All Rights Reserved. High Adventure Outfitters, Inc.